Orproject is an architecture and design practice set up in 2006, with offices in London, Beijing and New Delhi. Our work explores advanced geometries with an ecologic agenda, the integration of natural elements into the design results in an eco-narrative. Our projects range from experimental small-scale installations to large real-estate developments. We produce high-end luxury design, covering all aspects of a project from design and planning to practical completion. Our work has been published and exhibited widely, amongst other at the London Architecture Festival, the Furniture Fair in Milan, Palais de Tokyo in Paris and the China National Museum in Beijing. Ecology as a Narrative expresses our approach to ecological design: More than creating perfectly efficient ecological machines we are interested in expressing, through a visual narrative, the sequence of steps in which architecture can harness natural elements. This sequence from a natural element to its integration into design is usually hidden within a photovoltaic panel or concealed behind cladding. We visually expose the sequence as a narrative by expressing each step in a stimulating game of perceptions, Ecology as a Narrative creates awareness of how harmoniously nature can blend into design. Francesco Brenta graduated from the Architectural Association School of Architecture in London and has previously worked for international architecture practices such as Herzog De Meuron and Zvi Hecker. His strong interest in ecologic design and narrative shape the office agenda of creating sustainable buildings and exploring the possibilities of dealing with the environment in order to achieve new design solutions. 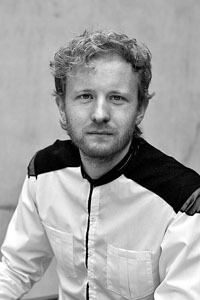 Prof. Christoph Klemmt graduated from the Architectural Association in London in 2004 and has worked for Zaha Hadid Architects for several years. 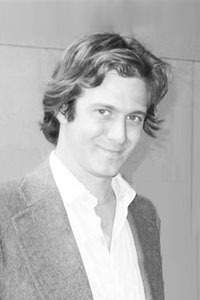 He is Assistant Professor at the Department of Design, Art, Architecture and Planning at the University of Cincinnati, where he researches and teaches computational design and robotic fabrication. He has lectured and given workshops at the Architectural Association, Nottingham University, the University of Wuppertal, AA Visiting School, Tsinghua University and Tongji University. Rajat Sodhi received his diploma from the AA in London in 2007 and the DRL masters in 2009. 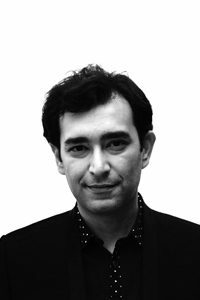 He has worked with 1-to-One for Herzog & de Meuron, Foster + Partners, Morphogenesis Architecture Studio and Le Groupe Arcop. He has lectured and given workshops at the Architectural Association, University of Westminster and the Indian Institute of Technology in New Delhi. His interest lies in developing computational geometry and exploring material formations inspired by nature’s inherent optimisations. Haseb Zada, an architect, artist and designer, received his formal education at the Architectural Association School of Architecture, London, as a Bay-light Scholar and Masters (End of year Design prize winner) at the Bartlett School of Architecture, University College London. Haseb has trained at International design office such as Morphosis, Los Angeles, Hopkins Architects, London and RMJM, Dubai. An award winning ,talented and enterprising individual with an original and imaginative approach to innovative problem-solving situations, excelling in challenging and stimulating environments, focusing on building form from principal. Christine Wu graduated with a Masters degree from Ecole d’Art Maryse Eloy in Paris. She has since worked as an art director for 4A companies like Grey Group and J. Walter Thompson. 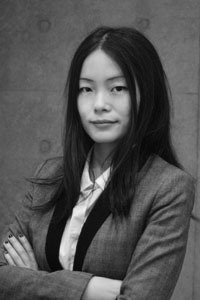 Her media design work has been exhibited in Italy, France and China.